The Cardano Project begins to take shape with the announcement of two testnets alongside major advancements in providing a provably secure Proof of Stake protocol. The latest version of Cardano’s Ouroboros staking algorithm, dubbed Genesis, will allow parties to bootstrap the blockchain form the genesis block. This allows desynchronized and new users of the network to enter the blockchain without any previous knowledge of active participants or history of the chain. This development marks a huge advantage for the team, cementing the project as one the most secure and scalable smart contract capable blockchains on the market. This feature was previously one of the hallmarks of Proof of Work consensus algorithms, thought to be impossible for a Proof of Stake based network, Ouroboros’ implementation allows PoS to match the security guarantees of protocols like Bitcoin without needing to rely on resource-intensive mining equipment. IOHK, the company responsible for the development of Cardano, has been invited to present Ouroboros at Eurocypt 2018 in order to share their findings with the wider cryptography community and gain insight by allowing the community to assist the project through the process of academic peer review. Presenting at such a prestigious academic event is a testament to the quality of the IOHK team’s research, allowing their code to be proofed and critiqued by industry experts. This process fits in line with the team’s goal of enabling development of the network within the accepted academic framework, an endeavor that distinguishes Cardano from the rest of the market. Cardano also recently announced the release of two testnet for the platform in the form of K-EVM and IELE. Firstly, K-EVM defines the formal semantics of the Ethereum Virtual Machine in the K framework. This release, set for May 28th, aims to “separate specification of analysis tools from the specification of particular programming languages or other models” allowing for a greater formalization of the EVM and providing developers more capable tools to analyze code. Secondly, IELE will provide developers with a collection of compiler and toolchain technologies based on the modular principles of LLVM. Much like LLVM, IELE is a register-based virtual machine and operates as the lowest layer of the Cardano Computation Layer. 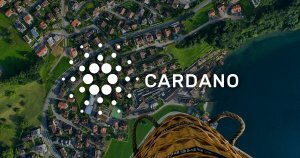 The two testnets comprise parts of Cardano’s project Goguen milestone. This marks a major checkpoint for the project’s roadmap comprising of increased functionality within the platforms smart contracts that would allow for sidechains, support multiple currencies on a single ledger and see the rollout of Cardano’s general purpose smart contract programming languages Plutus and Marlow. The IOHK April update reveals that engineering of the Plutus language is near completion alongside a Solidity to IELE translator and adaption of Ethereum Classics Mantis client. While this most recent announcement lacks detail, expect more information to be revealed soon as Cardano updates their roadmap. In recent months Cardano had continued to maintain strong support from the market, resulting in consistent supportive positive price action. The project’s audit from trusted third-party software developer FP Complete provided investors with assurance that the chain’s development process is being held accountable while listing on Huobi saw Chinese capital flow in via the Beijing based exchange. The combination of events and developments has resulted in a 150% rise in price over that past month, which could continue as the market continues to show strong support for projects that excel at the fundamentals.